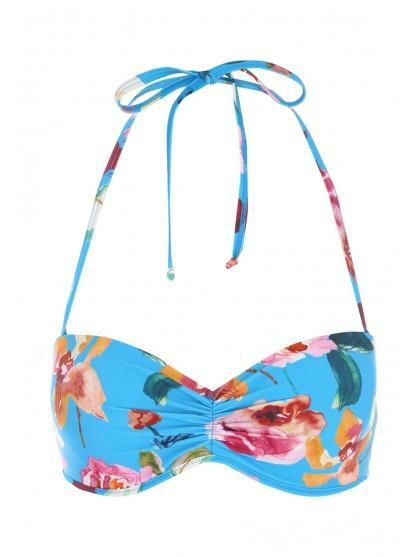 If you're jetting off to somewhere warm, a stylish bikini is a must! This top features detachable halter neck straps and a ruched front. 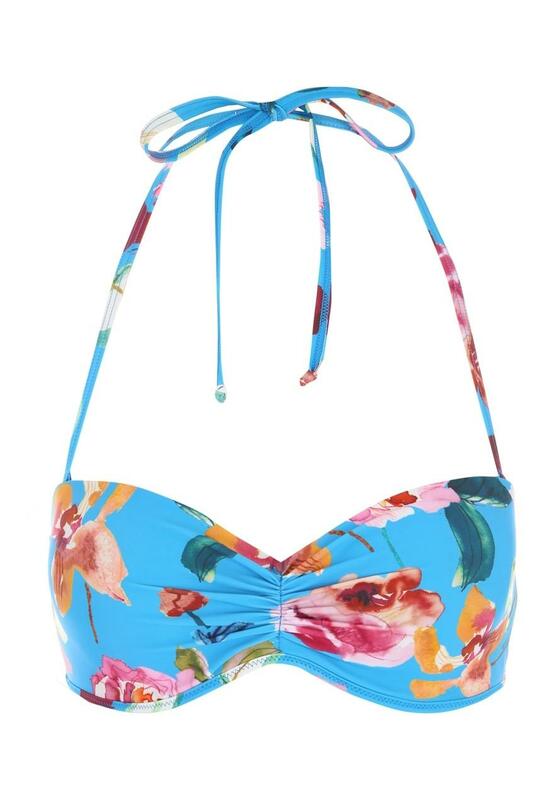 In a pretty blue tropical print, it'll make a great addition to your swimwear collection.